This pack includes a developmental summary set and a milestones moments set for1-2 years, all editable and includes learning outcomes on each page, read more about this pack here.. 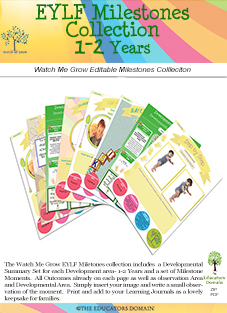 The Watch Me Grow EYLF Milestones collection includes a Developmental Summary Set for each Development area- 1-2 years and a set of Milestone Moments. Outcomes already on each page as well as Observation Area and Developmental Area. Simply insert your image and write a small observation of the moment. 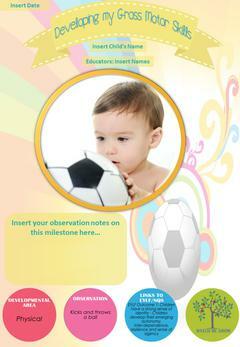 Print and add to your Learning Journals as a lovely keepsake for families.